In order to provide health education and health consultation to the community and the success of Car Free Day program from Surakarta City Government then RS. 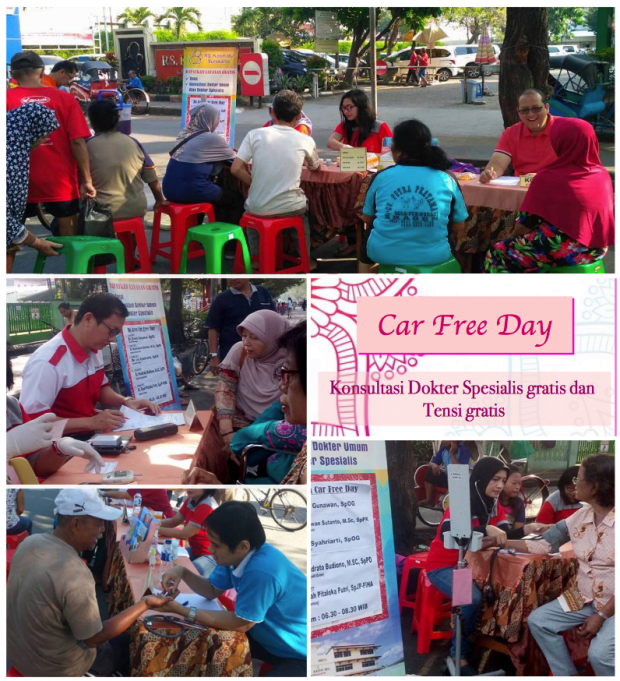 Kasih Ibu Surakarta always hold free health consultation service during Car Free Day event at Jalan SLamet Riyadi Surakarta. This free health consultation service is conducted by specialist doctors working in hospitals. Mother's love, carried out in accordance with the schedule that has been planned. Free health consultation service in Car Free Day has been going on since 2010. At this event in addition to get health consultation service and free Blood Pressure examination, society also can do blood Blood Sugar and Blood Cholesterol test at low price. Please citizens of Solo use the opportunity and service facilities provided by Kasih Ibu Hospital with the best possible.